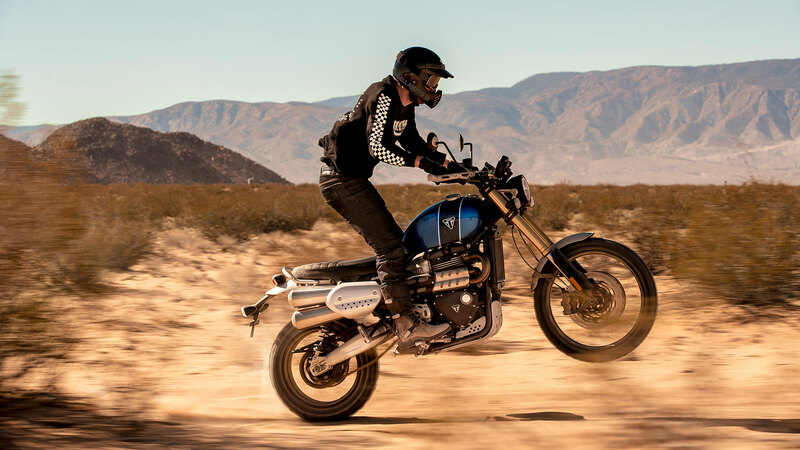 The Scrambler 1200 XE has been fine-tuned to deliver thrilling ‘any road’ all-day comfort with genuine adventure and scrambling capability. 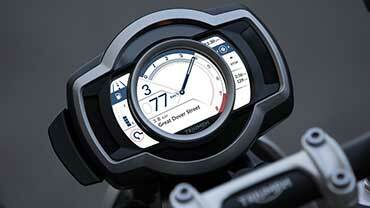 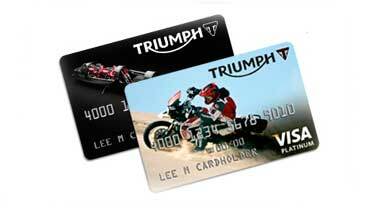 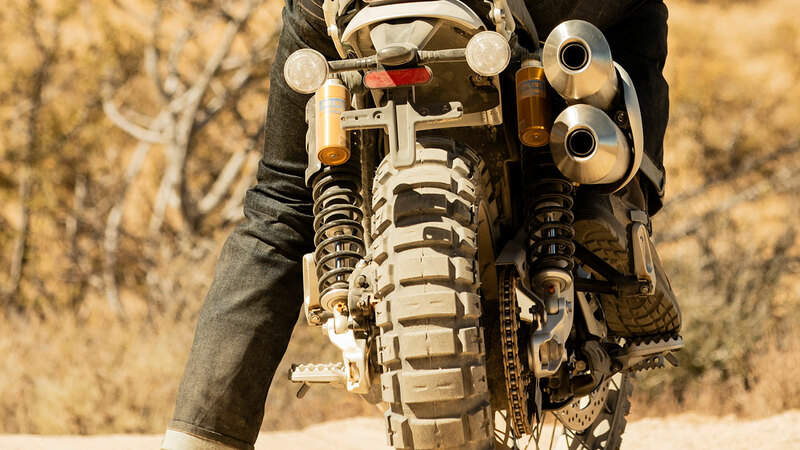 This incredible level of dual-purpose dynamic riding capability is achieved with a high spec combination of motorcycle engineering that includes longer wheel travel Öhlins rear suspension unit, longer travel Showa upside-down forks, Brembo brakes, and side-laced wheels with adventure-focused tubeless Metzeler Tourance tires. 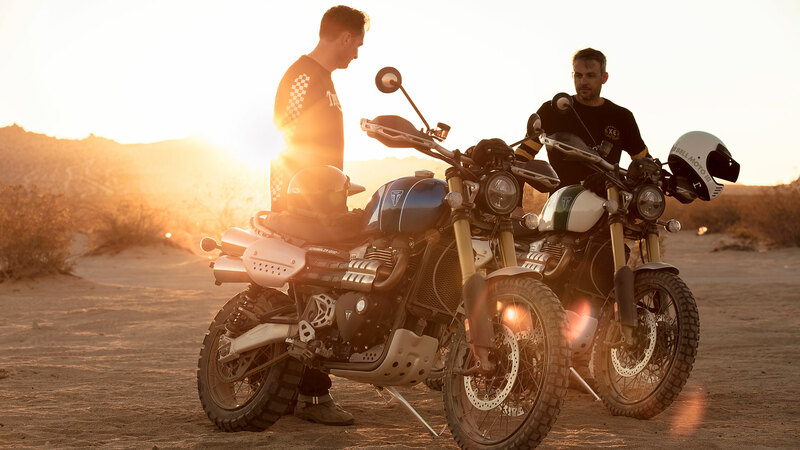 The top-of-the-range XE is leading the next step in scrambling with phenomenal road-going ability together with even more advanced off-road specification. 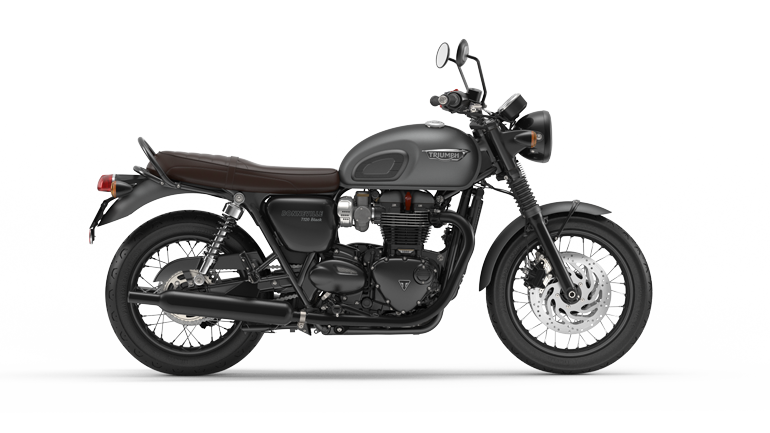 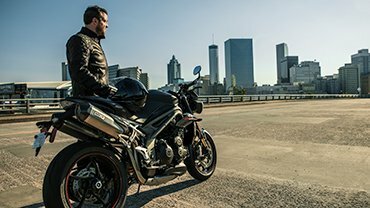 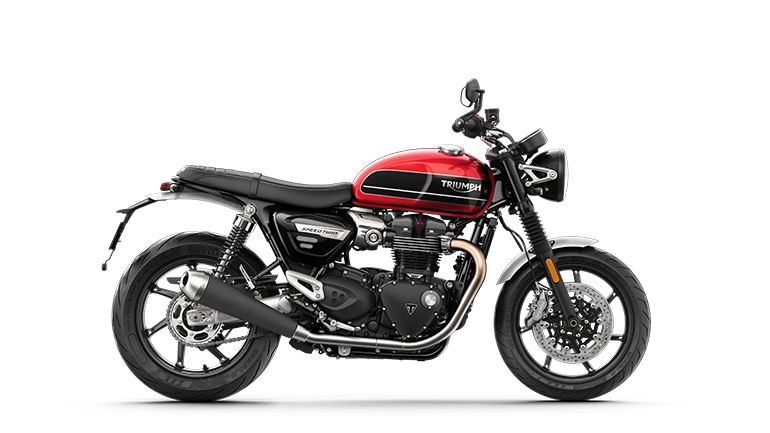 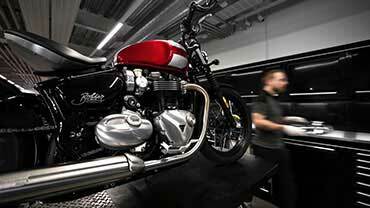 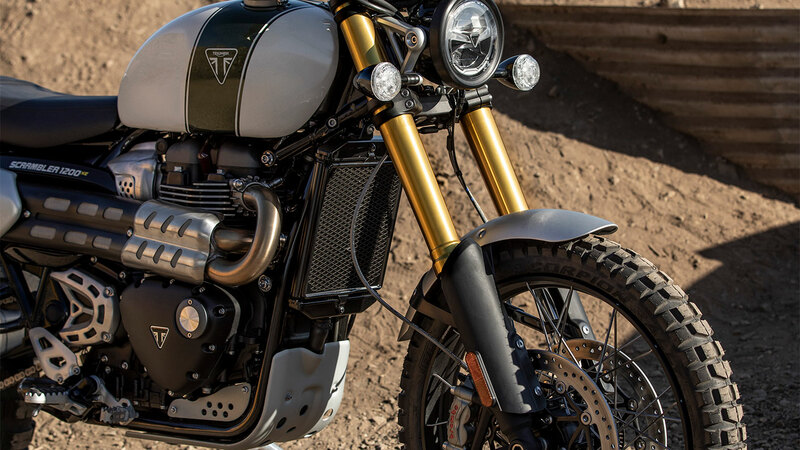 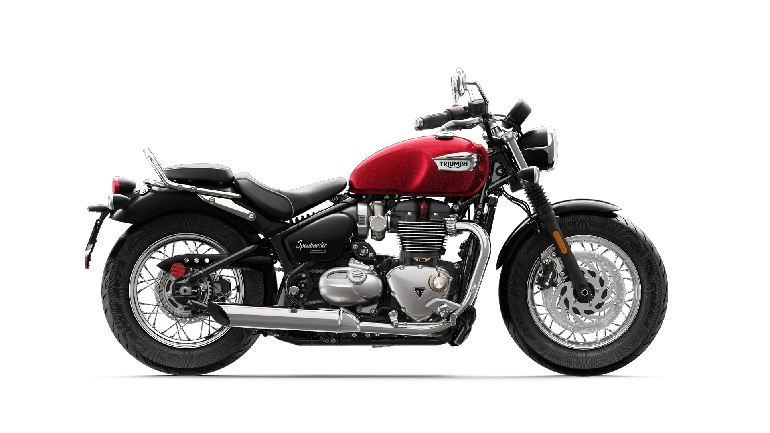 The torque-rich 1200cc Bonneville engine, a sculpted twin high level exhaust with an exquisite signature scrambler soundtrack, and Optimized Cornering ABS and Traction Control supported by an Inertial Measurement Unit all combine for the best possible riding experience. 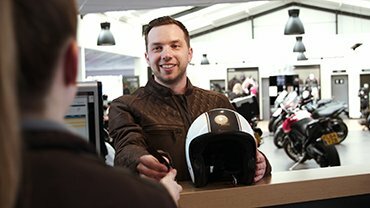 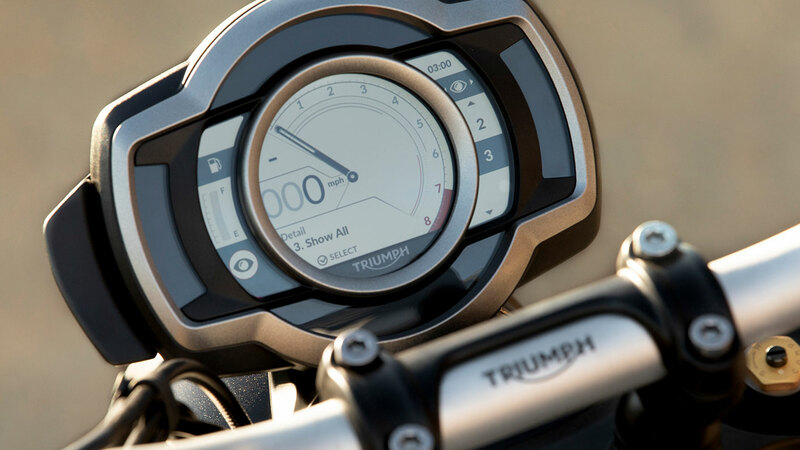 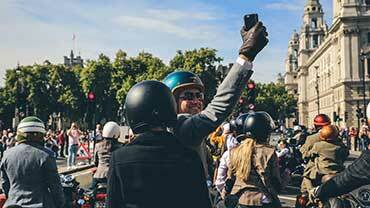 In addition, even more class-leading state-of-the-art technology is built in, including 6 riding modes, to give a confidence-inspiring ride whatever adventures you approach. 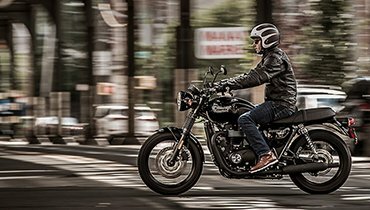 Exclusive to the XE model, advanced Cornering Optimized ABS & Traction Control deliver greater stability for the rider, even in extreme conditions. 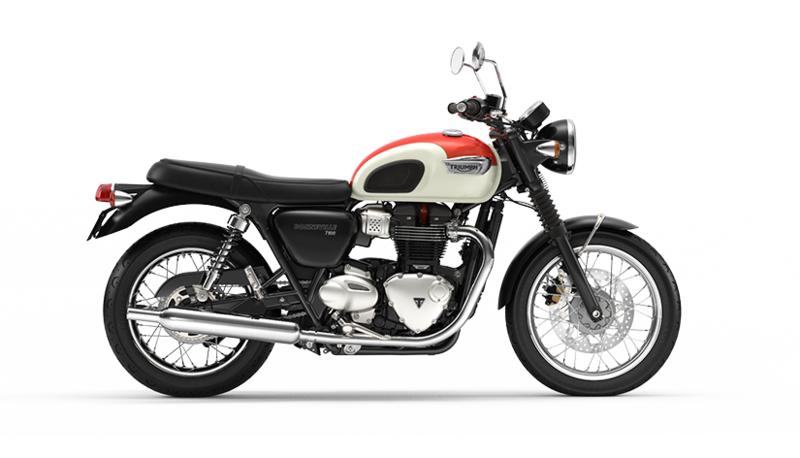 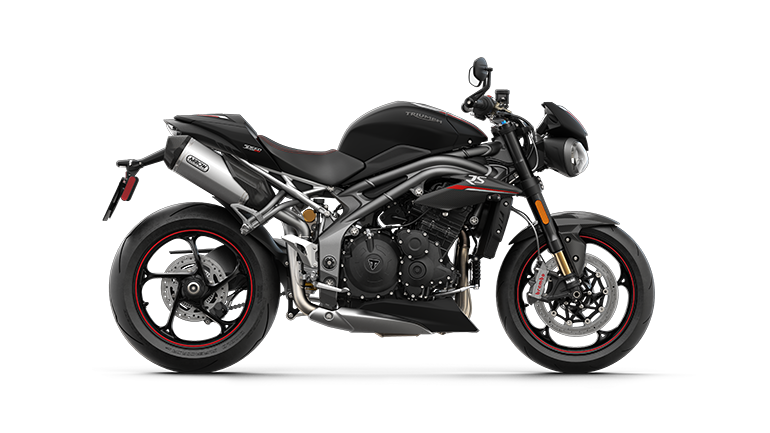 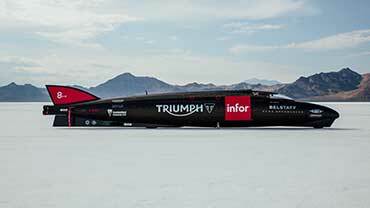 This is facilitated by an Inertial Measurement Unit (IMU) which manages how components work together to deliver a superior riding experience. 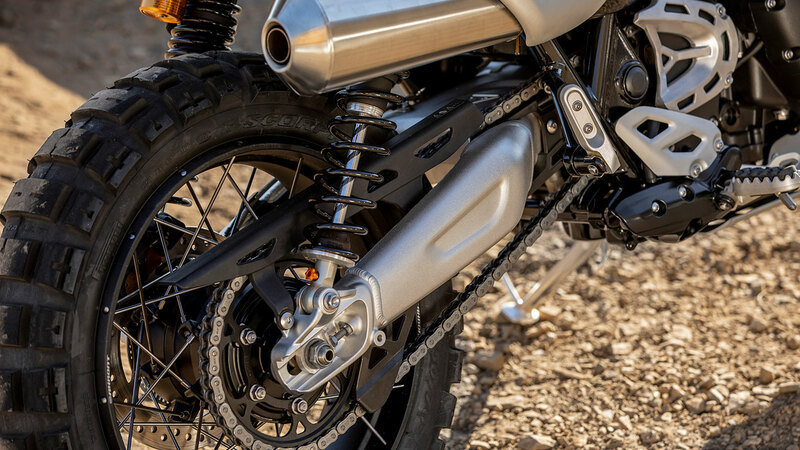 The XE’s premium top specification upside down Showa cartridge front forks are fully adjustable for preload, compression and rebound to maximize ride comfort, and have 9.84 inch of travel (1.96 inch more than the XC model). 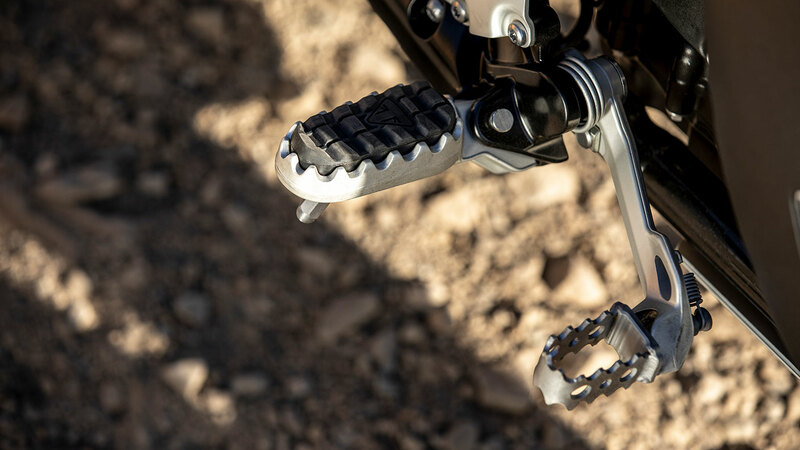 To maximize your scrambling options, the Öhlins twin spring rear suspension unit is fully adjustable for preload, compression and rebound, and offers 9.84 inch travel (which is 1.96 inch more than the XC model). 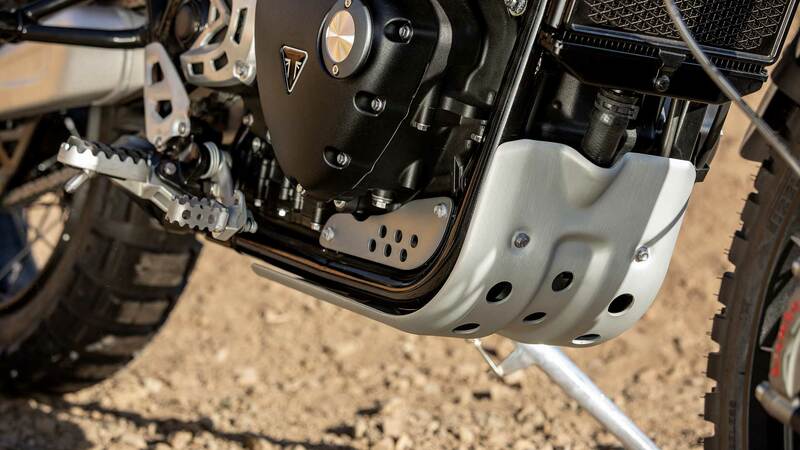 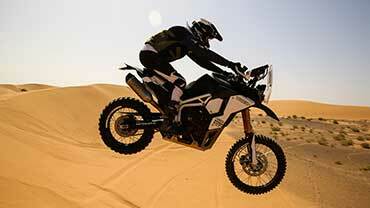 The XE’s shot blasted and anodized aluminum swingarm is 1.25 inch longer than the XC. 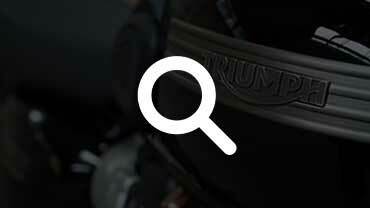 This total length of 22.8 inch improves the XE’s ground clearance and off-road capability. 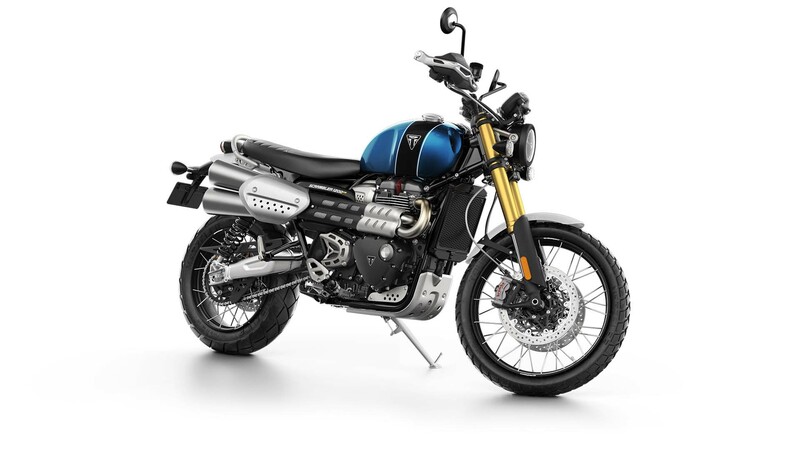 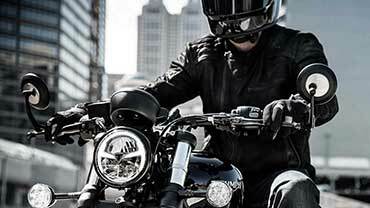 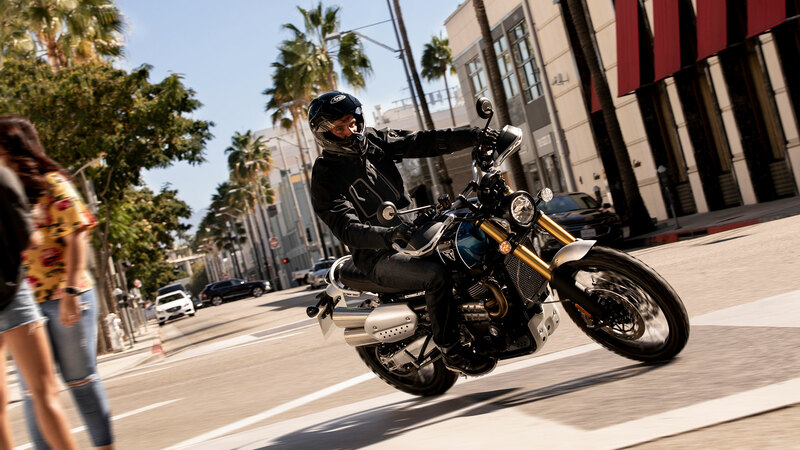 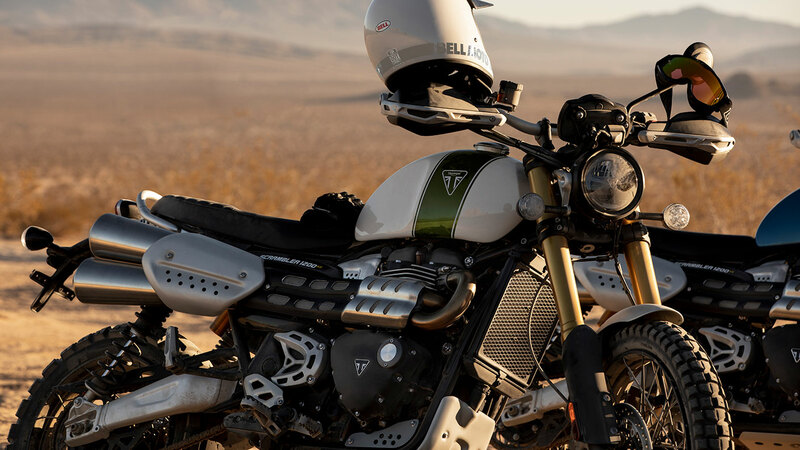 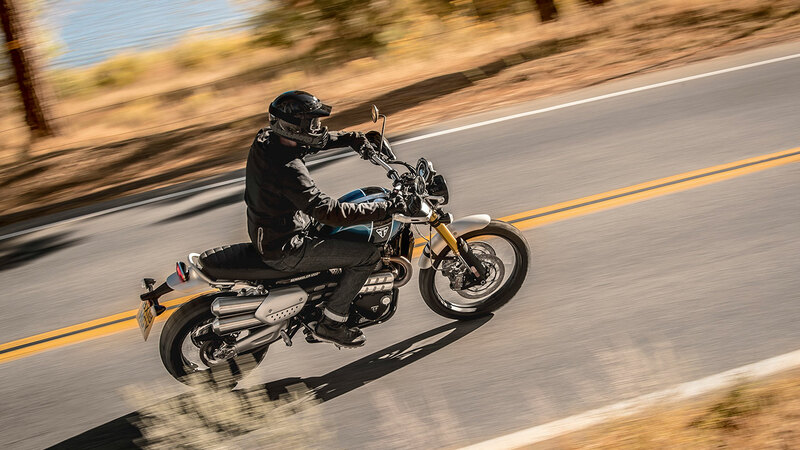 The Scrambler 1200 has ride-enhancing capabilities including torque-assist clutch, ride-by-wire, cruise control, liquid cooling, keyless ignition, heated grips, excellent fuel efficiency, and USB charging socket, making it easier to extend your ride for longer. 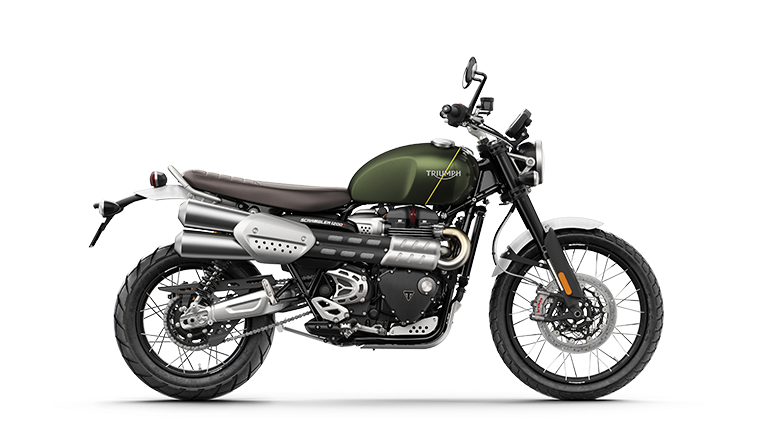 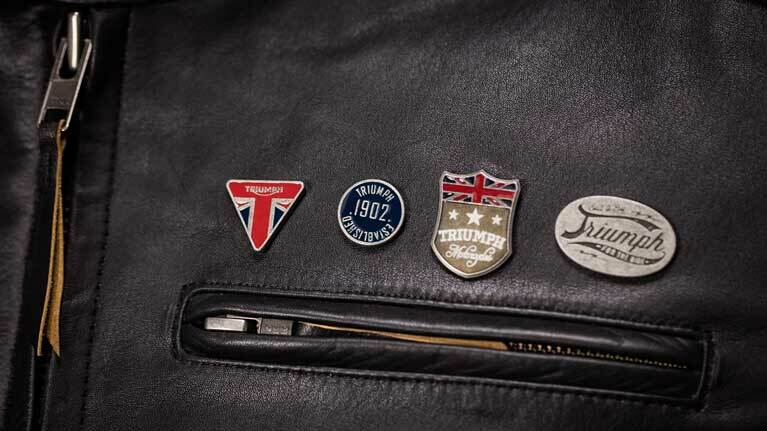 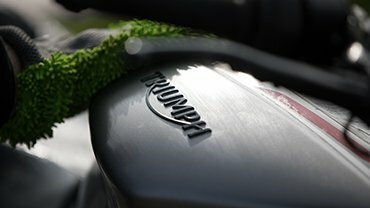 To reflect its top-of-the-range status, the XE comes with all the premium details found on the XC model and more, including; iconic Triumph triangle tank badge, hand guards with aluminum brace, Brembo MCS lever and silver handlebar finish with black anodized risers & clamp. 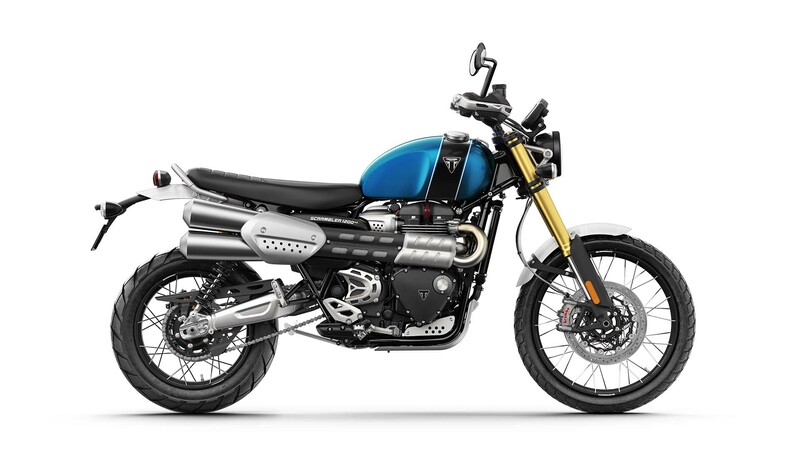 The Scrambler XE’s handlebar position can be adjusted with reversible handlebar risers, removable spacer, and angle-adjustable bars to better suit rider preference and riding style. 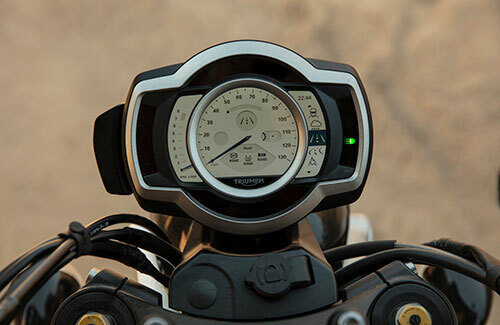 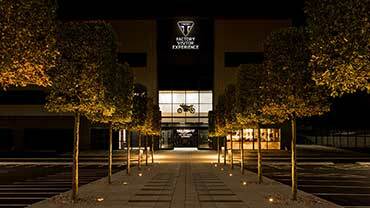 For added comfort, the XE handlebars are 2.55 inch wider than the XC’s.